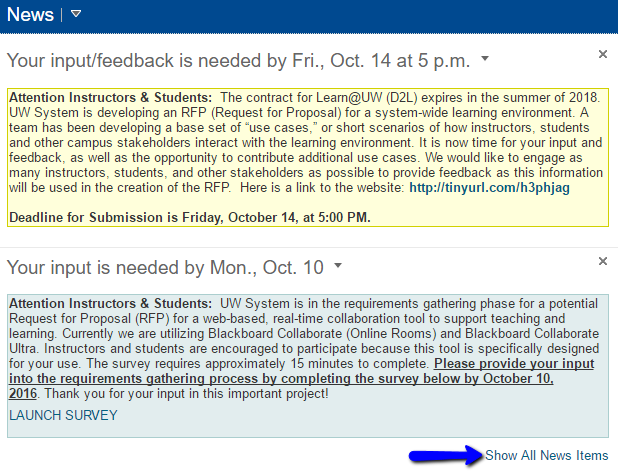 The news tool on the "My Home" page displays important information relating to the Learn@UW-Stout software. 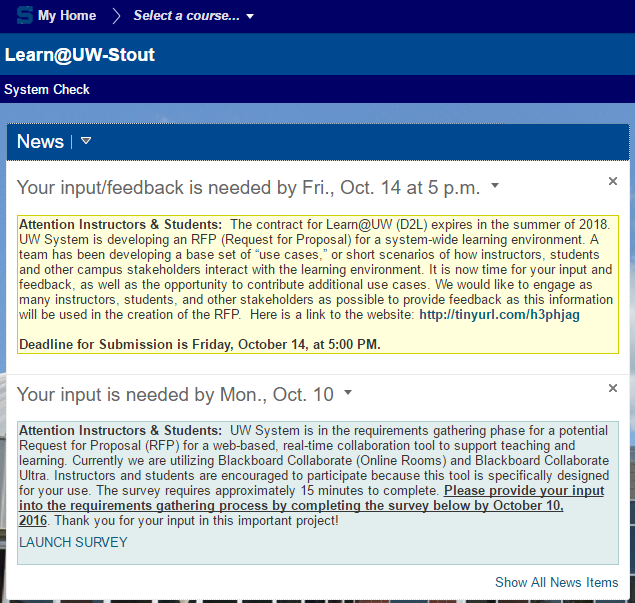 After logging on to Learn@UW-Stout, the news tool will appear at the top of the page. This area of the home page allows the Learning and Technology Services staff to communicate important information to students and instructors such as scheduled maintenance, software errors and resolutions, and new updates. This is also used to gather valuable user feedback to make the software fit the needs of its users. Expired material can be viewed by selecting the "Show All News Items" option at the bottom of the page.